Checklists drive repeatability and quality! Manufacturing, Construction and even building maintenance all benefit from implementing standard checks and procedures. 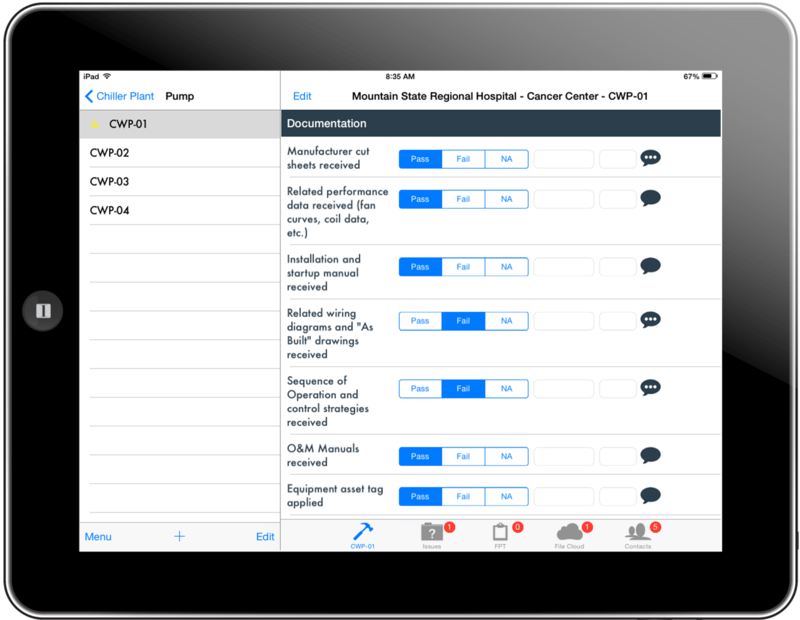 Assign team members to be responsible for different equipment and system checks and have the results all compile back to a central dataset. 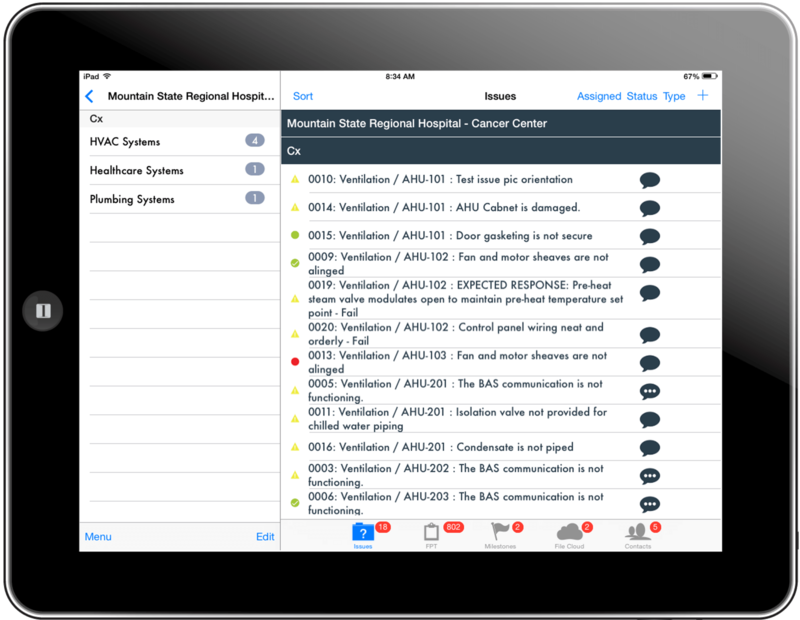 Implement a Commissioning process or Quality Assurance program with repeatable digital checklists. Verify and validate equipment performance and that systems are working properly. Perform annual inspections or at any frequency that fits your needs. Manage master checklist templates and responses via web portal. Checklists completed with mobile devices running Android, iOS and Windows. Documenting issues and tracking them to closure ensures systems work properly. Tracking and resolving issues may be the single most important workflow to manage and ensure equipment and systems run both properly and live up to their maximum life expectancy. From first installation, startup, commissioning all the way through operation and maintenance – a good system for tracking issues will help your team. Group issues by issue “type” which allows you to have team members only see issues relevant to them. Project managers can see and manage all issues to closure. Issues are tracked from “OPEN” all the way to “CLOSED” or completed. Manage master issues found as well as standard responses via web portal. Issues captured with mobile devices running Android, iOS and Windows. Photo documentation helps track equipment. Photo capture and photo documentation is a great way to catalog important equipment and systems in your building. 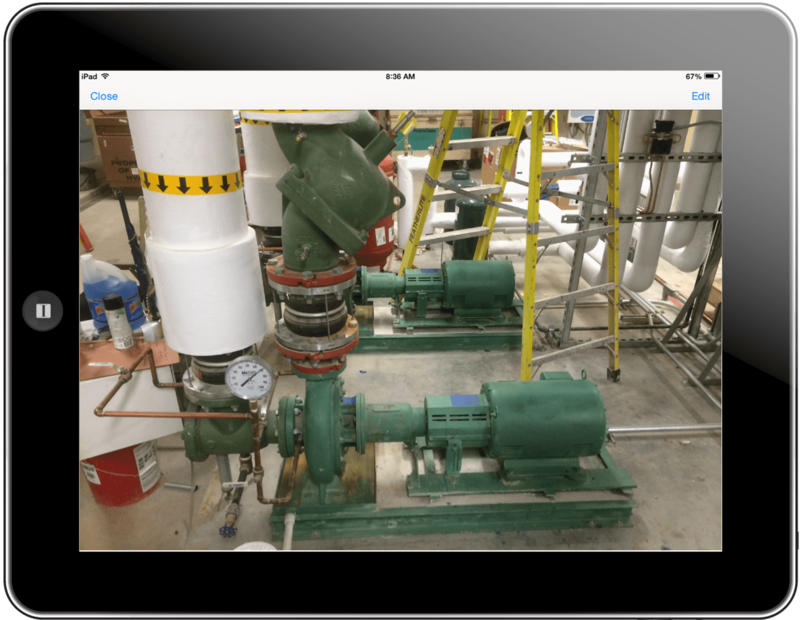 Photos can be used to demonstrate and record both proper and improper installations and maintenance or to track equipment over time. Photo document equipment, systems and assets in your building. Create videos that can be used as training for future building maintenance. Document safety procedures, cleaning	procedures and anything you want to better manage the quality of the work. Capture photos with mobile devices running Android, iOS and Windows.